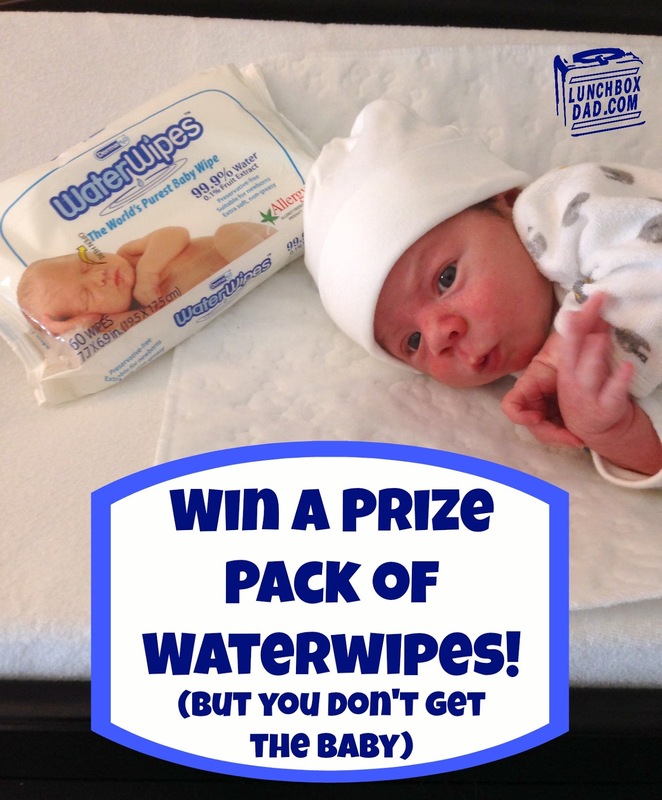 Lunchbox Dad: Win Your Own Prize Pack of WaterWipes! Disclosure: I was provided with this opportunity thanks to WaterWipes and Mommy Bag Marketing, Inc. They sent me this product to review. I also received other compensation for this post, however, the opinions I’m expressing here are solely my own. For the last two months, WaterWipes have been a staple of our family. I shared before that I ordered a whole case of these after I saw how great they were. We love that they are 99.9% water and the purest wipes that you can find. One of the biggest points that we tell people about WaterWipes is that they feel so thick and you only need half as many as other brands to clean up your baby. They are good for doing much more than diaper changes, however. We use them to clean our family's hands when on-the-go, wipes noses, etc. Whenever anyone asks about wipes we always point them first to WaterWipes because, after three kids, we have found that they are simply the best wipes we have ever used. To see my full review click HERE. WaterWipes are easily found in store at your local Walgreens and online at Walgreens.com. The great news is that you can actually win a WaterWipes prize pack right here through Lunchbox Dad. But believe me, once you win this prize and get your hands on these, you won't be able to go back to other wipes! It is very easy to enter, just use the Rafflecopter widget below. It only takes a minute and you could end up winning some awesome 99.9% pure WaterWipes! You can find out more about WaterWipes online at www.waterwipes.com and on Facebook at www.facebook.com/waterwipesusa.